30 inch Leaf Planter with coco liner to promote healthy plant growth. This will add an elegant touch to your patio. Long lasting powder coated finish. Prosperplast ATENA GRECIAN is a 15.6-in Urn planter, inspired by antiquity and its love for perfection and harmony. The decorated base and subtle ornament on the body determine its unique character which will add style and elegance to even the most modest yard or patio. The pots are made of High Quality Polypropylene, very durable and UV resistant which guarantees unchanged colour and shape for a long time. Succulent planters are perfect for the individual who wants to start an easy-care garden. Succulents thrive in sunny, well drained areas with very little maintenance. The planter is made of 100% Western Red Cedar and offers three 3" holes to accommodate a variety of plants. They are the perfect fit for a window sill, desktop, or any well-lit area. Make a bold and beautiful statement in your garden or yard with the unique Raindrop Planter. Thisstylish planter can be hung from the bracket (included) or can be displayed free standing on a flatsurface. The artistic design provides beauty all year round and can be used to showcase flowers, plantsor LED candles. The planter is made from durable steel and has an attractive powder coated finish thatresists corrosion. All fasteners are included for easy assembly. Holds pots up to 8 inch wide and up to 20lbs.(9.1kgs). 30-inch Maple Leaf Coco Planter 30 inch Leaf Planter with coco liner to promote healthy plant growth. This will add an elegant touch to your patio. Long lasting powder coated finish. 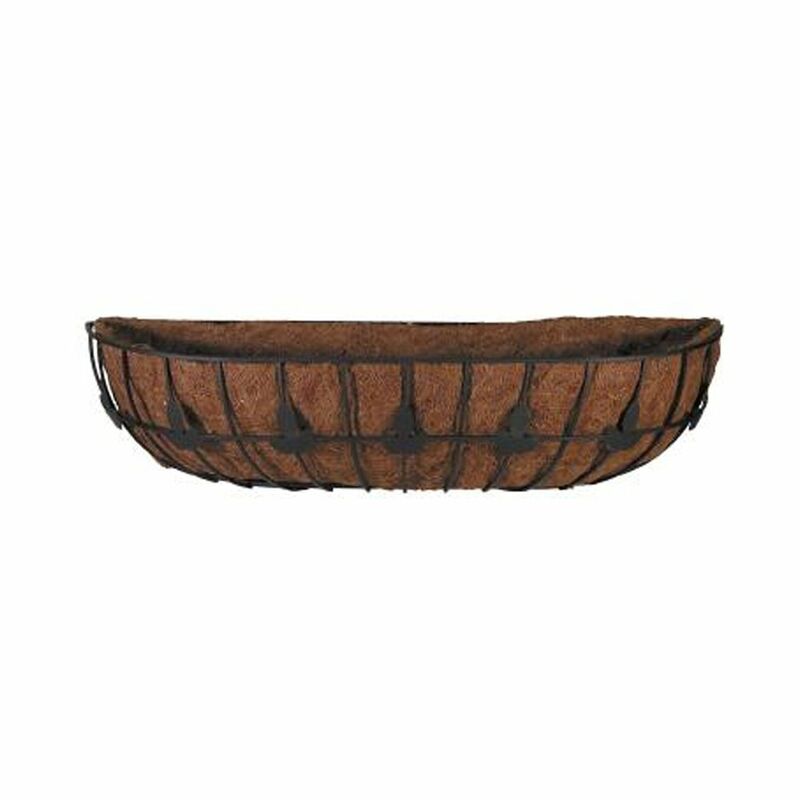 30-inch Maple Leaf Coco Planter is rated 1.0 out of 5 by 1. Rated 1 out of 5 by TheFixer from One Season Wonder When you get to next season you will find you need a new liner but Home Depot doesn't carry them. Best of luck.